La-Z-Boy and Fallon’s Furniture October Offer! La-Z-Boy and Fallon’s Furniture Fundraiser for October 2018! 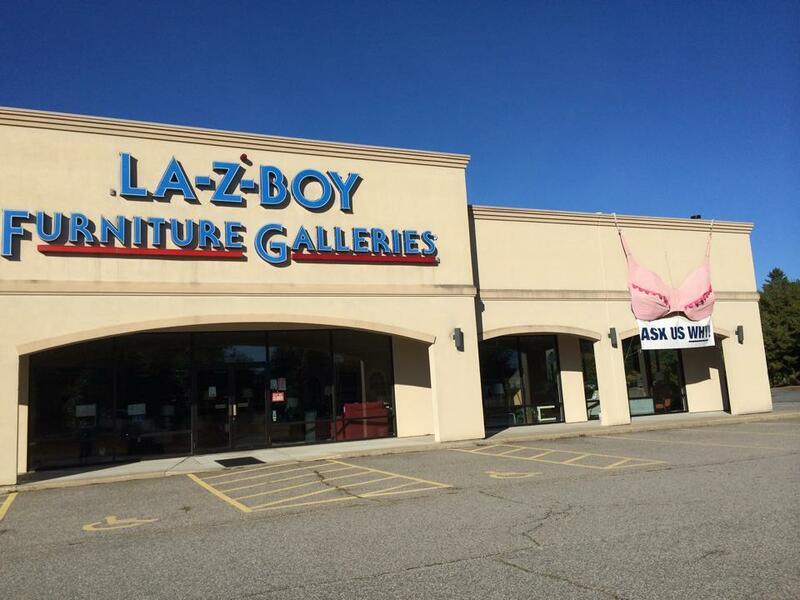 La-Z-Boy Furniture Galleries of Manchester and Fallon’s Furniture of Manchester and Merrimack are raising funds for the New Hampshire Breast Cancer Coalition Support Services Fund! During October, for every $500 you spend, if you donate $10 to the New Hampshire Breast Cancer Coalition, La-Z-Boy and Fallon’s Furniture gives you $25 off your order! This is a “win-win-win,” especially for New Hampshire women and men fighting breast cancer. For more information, call: Rachael Manfra at 603-624-7600 or Jen Guilmette at 603-263-8548. See you at La-Z-Boy and Fallon’s! Hannaford October Fundraising a Success! Hannaford Supermarkets Continue Support in December! Continental Academie Hits Their Goal! Mr. Mac’s Macaroni & Cheese Fundraiser A Success! Bob Mariano Chrysler, Jeep, Dodge & Ram Presents Gift to NHBCC! Kaizen Academy’s Pink Belts for Breast Cancer! OCTOBER Month-Long Fundraisers Completed—Thank you, all! Hannaford Supermarket Support for 2018! Click Here for ALL NHBCC fundraisers, events and activities!